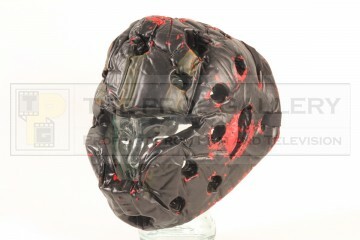 An original helmet used in the production of Robot Jox, the 1990 post apocalyptic science fiction picture directed by Stuart Gordon. 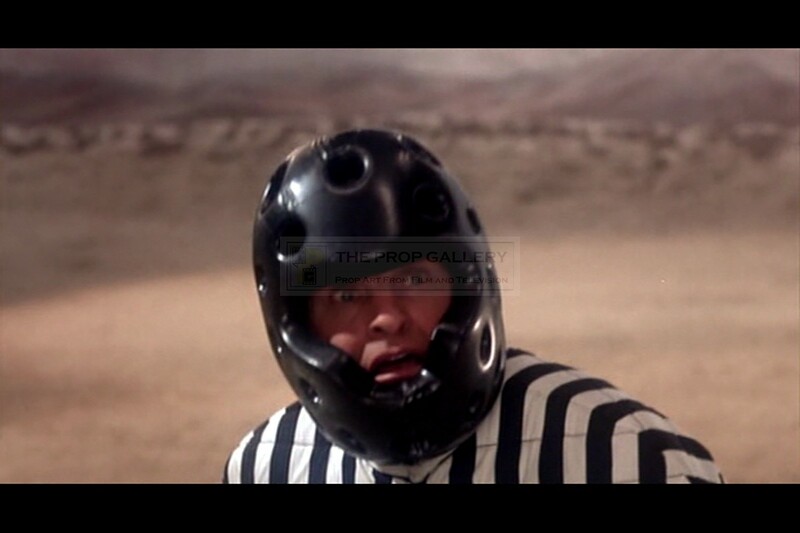 This helmet was worn by one of the referees seen officiating over the battle between Achilles (Gary Graham) and Alexander (Paul Koslo). 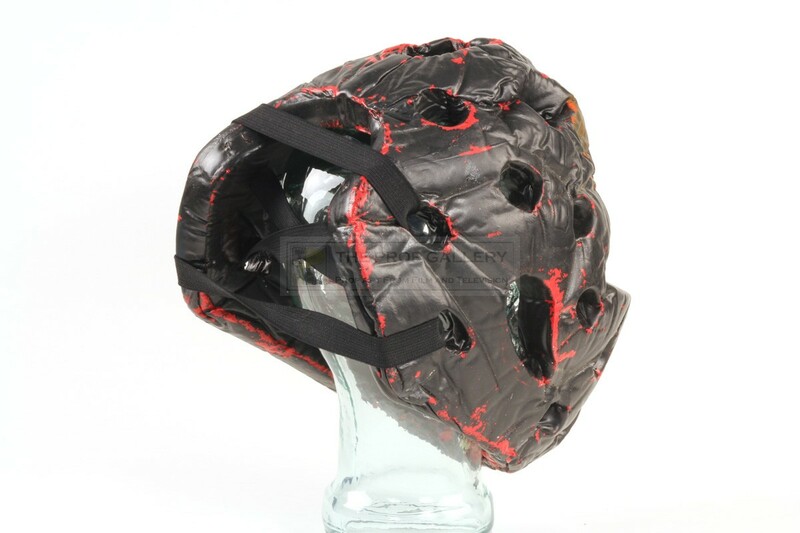 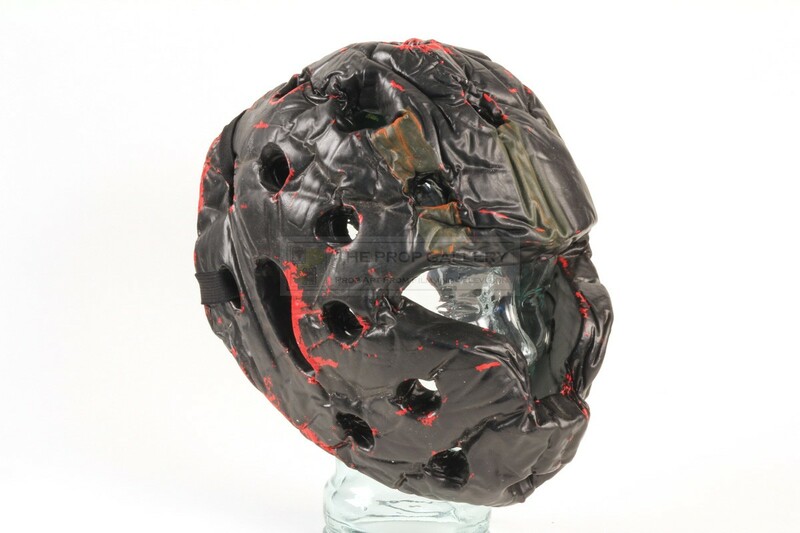 The helmet is a head guard used in sports such as kick boxing and is constructed from foam with a red plastic coating which has been sprayed with black paint by the production, it features a number of holes with an elastic chin strap. 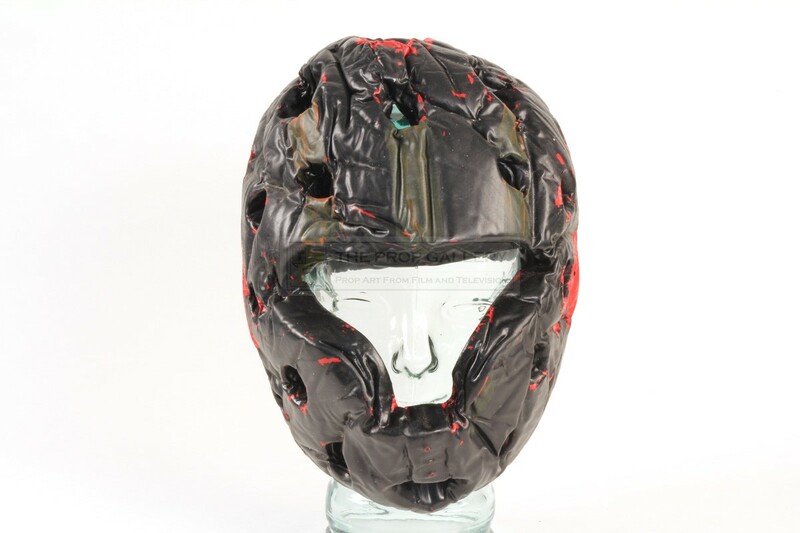 The helmet measures approximately 12" x 10" x 10" and remains in good production used condition with some paint loss revealing the original red colour of the head guard, otherwise fine. 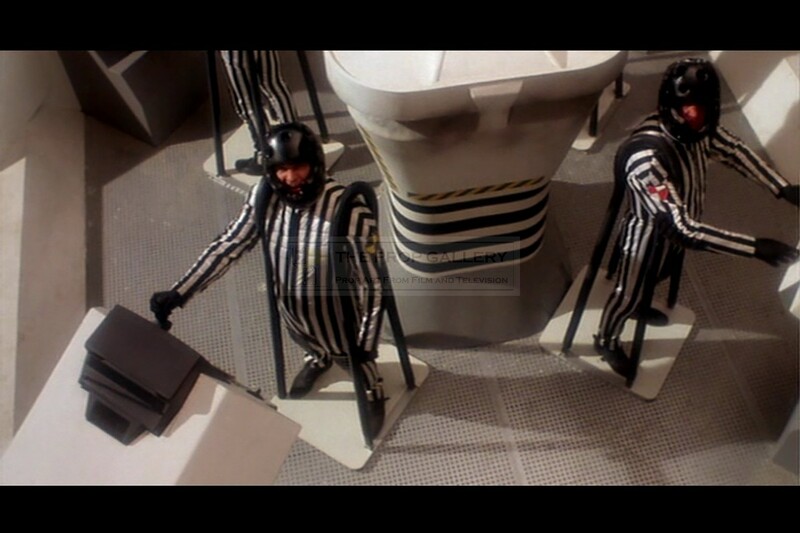 A rare and displayable artefact from this cult science fiction classic.